An invoice is a request for money owed after products are provided or when the performance of service has been completed. The invoice is sent, usually by standard mail or e-mail, and with payment being due by a specific date (usually thirty (30) days). If payment is not received, interest or penalties may accumulate in addition to the amount being reported to credit agencies. 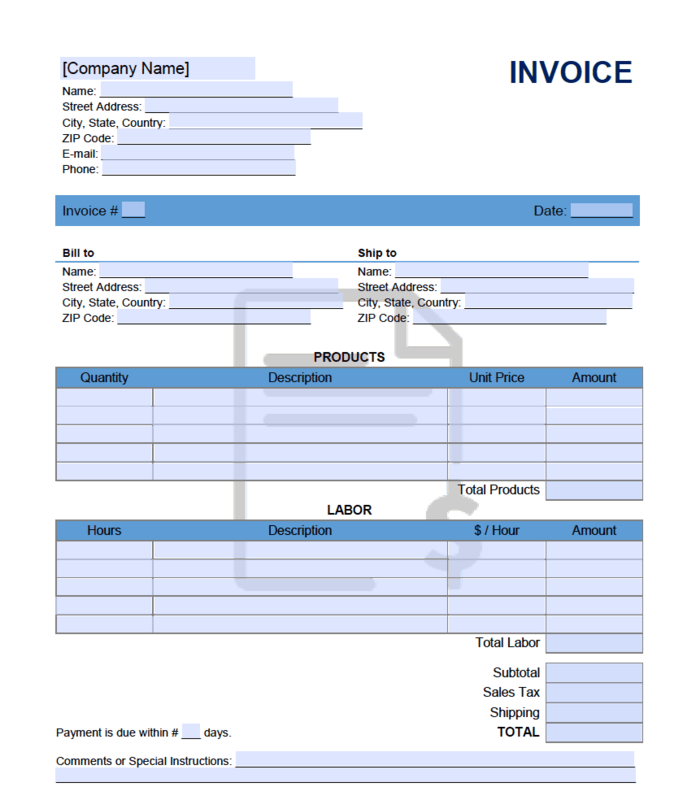 An invoice is a great way to detail products or services rendered while requesting payment for said items. The invoice should simply illustrate the costs of goods sold less any discounts while also adding any State or local taxes. Once complete, it should be sent to the recipient either through standard mail, fax, or e-mail. If the products or services have already been rendered the recipient should have between 15 to 30 days to make payment before any late fees, penalties, or interest begins being added. Download: Adobe PDF, Microsoft Word (.docx), or Microsoft Excel (.xlsx).